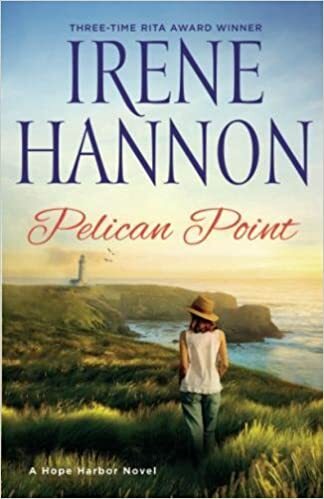 Irene Hannon's Hope Harbor series has been so great and "Pelican Point" is another great addition to the series! Hope Harbor is such a cute, coastal town that is also a tight-knit community and while reading these books, I feel as if I am a part of the town and friends with the people. Irene does a great job at bringing the characters to life and this town. Marci lives in Hope Harbor and is the editor for the local paper; although she is not native to here, this is her home and she is proud of the heritage of the town. Therefore, Marci is determined to save the lighthouse due to the landmark status and the significance it holds. Ben was just planning Hope Harbor to be a stop, an errand he had to complete as he is the only heir to his grandfather and he has come to settle his affairs. However, this becomes more than that as the lighthouse is part of the inheritance and Marci is not about to see it destroyed. I loved the interactions between Marci and Ben throughout the book and also the hope, and redemption and healing that takes place in both of these characters. Hope Harbor was where both of these individuals needed to be. It was nice to come "visit" this town again and meet up with some of the natives. I have thoroughly enjoyed this book and this series and I highly recommend it. as they investigate the conditions of t he immigrant laborers. As the Alderton Sentinel and Julie take on a more aggressive role to reform these conditions, seething tensions come to a head. When a devastating tragedy follows a shocking rev elation, Julie ’ s courage and strength are tested. Catherine Marshall is an author I was familiar with because of her best-seller book, "Christy" and the spin offs that have been made based on that. However, I did not realize she had written another book, "Julie," and I have to say I am so glad that I discovered that because it is another great book from her! "Julie" like "Christy" is well-written and an accurate portrayal of life in the time period, for "Julie," this is during the 1930's. It is evident that Catherine did a lot of research as the book is rich with historical details and the time period just comes alive along with the characters. Julie has wanted to be a writer and this opportunity comes when her family moves and purchases a newspaper. This is a difficult time due to The Great Depression, but also for businesses as it is a time of change and new industries. As Julie uncovers things she finds herself in the midst of issues in the town that will have lasting effects in the future. I found this book heartbreaking at times and yet so real as the characters and details just came to life and I felt as if I was transported to this town at this time and a part of the story and events. This is a great choice for those whom enjoy historical fiction and a must-read for those whom have read and enjoyed "Christy" in the past! Catherine Marshall (1914-1983), ͞ The New York Times ͟ best-selling author of 30 books, is best known for her novel ͞ Christy. ͟ Based on the life of her mother, ͞ Christy ͟ captured the hearts of millions and became a popular CBS television series. Around the kitchen table at Evergreen Farm, as her mother reminisced, Catherine pro bed for details and insights into the rugged lives of these Appalachian highlanders. Cather ine shared the story of her husband, Dr. Peter Marshall, Chaplain of the United States Senate, in ͞ A Man Called Peter. ͟ A decade after Dr. Marshall ’ s untimely death, Catherine married Leonard LeSourd, Executive Editor o f ͞ Guideposts, ͟ forging a dynamic writer-editor partnership. A beloved inspirational writer an d speaker, Catherine ’ s enduring career spanned four decades and reached over 30 million readers. 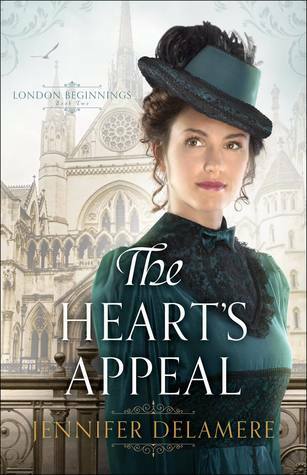 "The Heart's Appeal" is book #2 in Jennifer Delamere's London Beginnings series and while I enjoyed book #1, this was I enjoyed even more! Julia has arrived in London to pursue her dream, her desire, of becoming a doctor. However, this is not a field that was open to women until recently and although it is open to women now it does not mean that it is without obstacles. Julia quickly learns that; however things are complicated. Julia saved Michael's life; however they are no on the opposite sides of the debate revolving the women's medical school leading them both to question their hearts and motives. This is such a well-written historical fiction novel. Jennifer is becoming one of my must-read novelists! The storyline flows nicely, the characters comes to life and the historical details are so well tied in that the book is a great read! Not to mention, the cover is stunning, I love the details in the cover, the artwork is beautiful. I am looking forward to book #3 in the future! "Things I Never Told You"
I have read every single fiction book that Beth has written and loved each one, so I was so excited to see that she had a new book coming out and that it was the start of a new series. However, I was not prepared for how this book was going to affect me. My heart was breaking for the Thatcher family over and over again throughout reading "Things I Never Told You," and then there were so many moments that I was celebrating with them and wanting to reach through the pages and pull one of them into a hug or sit down with Payton over mugs of coffee to just be there for her, and listen. The entire family has suffered a loss; however Pepper was Payton's twin sister and she is blaming herself for Pepper's death and keeping this to herself for the past decade. Payton is struggling in so many ways, her relationships with her others sisters and parents included as well as not really living her life how she had always dreamed that she would. However, Payton is discovering that something that caused a rift between she and Pepper during the last few months of Pepper's life may be something worth learning about, not only herself but her entire family. This book is such an excellent start to this new series and now I find myself just waiting for book #2 to come out as I cannot wait to see where each member of this family is going to go on their individual journeys, but also the family as a whole unit. Beth has done an incredible job with creating characters whom all come to life on the pages and are so easy to connect with and relate to. And while it is an emotional and heart-wrenching read, I wanted to cry tears of joy and wanted to cheer at times and I am feeling very hopeful at the end of the novel. This is one of the those books that will not be forgotten just because I finished reading it as the story lines and characters are so real. "Why Her? : 6 truths we need to hear when measuring up leaves us falling behind," written by Nicki Koziarz is a such a good women's read. People, especially women it seems, find themselves constantly comparing themselves to others, asking why she looks like this or why does she seem to have the perfect life, while we are facing one battle after another that are constantly wearing us down. This book is divided into 6 sections or truths that each of us needs to be thinking on and constantly remembering. Being honest is one of the truths, and another is knowing that you do not always have to be okay. Seeing things how they are instead of seeing another person's success or win does not mean that you life is awful and that this is a loss to you, but seeing how we all can be successful and content and happy. Each chapter addresses a specific truth/point. Nicki shares stories, feedback from others and God's truths and promises. There are lists, quotes highlighted in boxes, questions to reflect on and main points reiterated that really reach out and catch the reader's attention and hold it there. The comparison game is so easy to get caught up into and hard to break the cycle of; therefore, this is an excellent book to read to start addressing this. as they investigate the conditions of th e immigrant laborers. As the Alderton Sentinel and Julie take on a more aggressive role to reform these conditions, seething tensions come to a head. When a devastating tragedy follows a shocking revel ation, Julie ’ s courage and strength are tested. f writing do you want to do?" "Articles for Dad's paper, to start." "What do you want to write about?" "When I know more, I'd like to write about deeper things." Catherin e Marshall (1914-1983), ͞ The New York Times ͟ best-selling author of 30 books, is best known for her novel ͞ Christy. ͟ Based on the life of her mother, ͞ Christy ͟ captured the hearts of millions and became a popular CBS television series. Around the kitchen table at Evergreen Farm, as her mother reminisced, Catherine pro bed for details and insights into the rugged lives of these Appalachian highlanders. Cather ine shared the story of her husband, Dr. Peter Marshall, Chaplain of the United States Senate, in ͞ A Man Called Peter. ͟ A decade after Dr. Marshall ’ s untimely death, Catherine married Leonard LeSourd, Executive Editor o f ͞ Guideposts, ͟ forging a dynamic writer-editor partnership. A beloved inspirational writer an d speaker, Catherine ’ s enduring career spanned four decades and reached over 30 million readers.